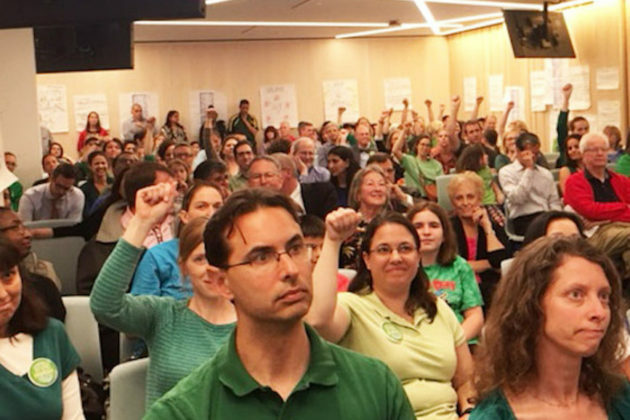 A group of parents who could someday send their kids to a new high school program at the Arlington Career Center remain frustrated by the school system’s plans for the site, and they’re planning a new effort to make their voices heard. Concerned parents, largely hailing from the Arlington Heights neighborhood around Columbia Pike, are banding together to form a new nonprofit called “Citizens for Arlington School Equality.” The organization, which will lobby the School Board to include a broader range of amenities at the school site, is planning to kick off its efforts with a march from Patrick Henry Elementary School to the Board’s meeting tonight (June 7) at the Syphax Education Center (2110 Washington Blvd), with a rally to follow. The Board has yet to finalize just how it will build 1,050 new high school seats at the Career Center, but it is nearing a consensus on a new Capital Improvement Plan that would dictate how the construction proceeds over the next decade. A final vote on the plan is set for June 21, but the Board seems to be nearing agreement on a proposal to build the seats by 2024. Under the proposal, amenities at the site would include a multi-use gym, a “black box” theater, a performing arts wing, a synthetic athletic field and a parking garage, all to be added by 2026. Yet that plan has done little to satisfy some Arlington Heights parents, who are concerned that the Career Center site wouldn’t offer the same features as the county’s other comprehensive high schools. They’re particularly concerned that the Board’s proposed design would fundamentally disadvantage students who live near the Career Center in South Arlington and are most likely to attend the new program. Board members have spent plenty of time wrestling with how they can beef up amenities at the site, and examined several plans that would’ve added more amenities to the program and sped up their construction so they were available as the facility opened its doors. But all of those proposals would have put a serious strain on the school system’s finances and were ultimately cast aside. Even the Board’s current plans will strain Arlington Public Schools’ borrowing capacity, and the county’s similarly challenging financial picture means the County Board may not be able to help, either. Yet Milder and some her fellow parents believe both boards should view fully funding amenities at the Career Center site as a priority important enough to force a re-ordering of the county’s long-term construction plans. “The county is doing all these things to attract businesses and people to Arlington, then not backing it up by supporting students they’re bringing here,” said Megan Haydasz, another Arlington Heights parent involved with the new group. Haydasz suggested her new group could even pursue legal action against the school system if the Board opts to pursue its current plans at the Career Center. She’s hoping the new group will be able to start accepting donations soon, and will be able to fund all manner of advocacy work. That’s why Milder and Haydasz hope to use their new group to convince the county raise taxes next year — a distinct possibility, County Manager Mark Schwartz has repeatedly warned — and use that money to better fund the school system. If the county fails to do so, the parents worry how the neighborhood might change in response. 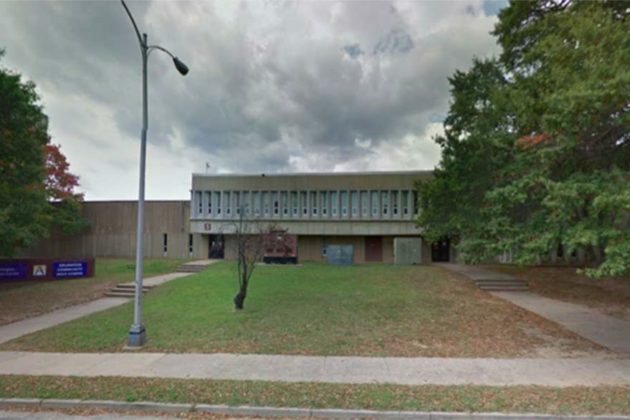 The group will begin its march from Henry at 5 p.m., and plans to arrive at the Syphax Center for a rally by 5:15 p.m. The Board meeting starts at 6 p.m.